This award is for those students who have studied nabim modules 1-4. 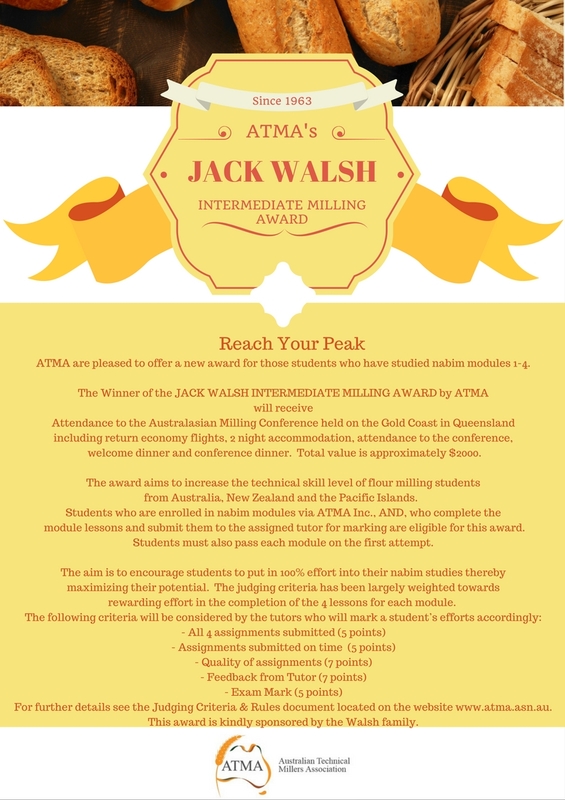 The Winner of the JACK WALSH INTERMEDIATE MILLING AWARD by ATMA will receive attendance to the Australasian Milling Conference held on the Gold Coast in Queensland including return economy flights, 2 nights accommodation, attendance to the conference, welcome dinner and conference dinner. Total value is approximately $2000. The award aims to increase the technical skill level of flour milling students from Australia, New Zealand and the Pacific Islands. Students who are enrolled in nabim modules via ATMA Inc., AND, who complete the module lessons and submit them to the assigned tutor for marking are eligible for this award. Students must also pass each module on the first attempt and submit at least 75% of assignments to a satisfactory standard. The aim is to encourage students to put in 100% effort into their nabim studies thereby maximizing their potential. The judging criteria has been largely weighted towards rewarding effort in the completion of the 4 lessons for each module. This award is kindly donated by the Walsh Family. Article in Grain Central, April 4, 2019 The humble mi goreng is big business. ATMA originated in 1963 and has continued to build by reassessing the needs of members with a long term focus of matters relevant to the good of the technical milling profession. 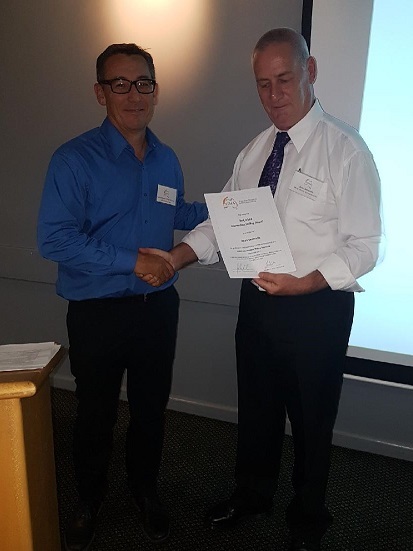 Our Members are linked to the cereal milling and processing industries through an interest in technical milling and industry issues. Membership is based on individual membership as part of a professional association.